In many communities, talking about menstruation is taboo. Consequently, the women in these communities suffer silently under the burden of low hygiene, the lack of healthcare and attention towards their well being. Breaking the taboo and reaching out to many women through her initiative is Jessamijn Miedema. Having grown up in a family of four children with her parents and a large acquired extended family in Sumba, one of the eastern Indonesian islands, Jessamijn had a fairly simple childhood. It revolved around the essentials, such as fetching water, bathing in a stream, cutting grass for the horses, stealing peanuts from the garden and going to a school where there was no teacher. Being in nature gave Jessamijn a strong natural relationship with all things green, and later as an adult she understood how big a luxury that actually is. When Jessamijn worked with coffee growers in the Araku Valley, in South India, she enjoyed the possibilities that fair and organically produced business seemed to have. It brought out the energy, the entrepreneurship in people, the wish to learn and make a change. To Jessamijn that felt like empowerment – there was no need for charity at all. 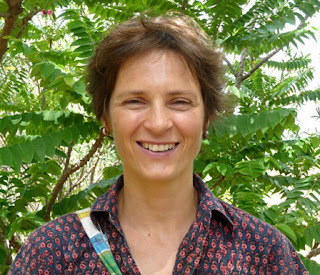 When her family and she moved to Auroville near Pondicherry, India, Jessamijn got involved with Auroville Village Action Group (AVAG) and social enterprise creation for and with women in self help groups. With Kathy Walkling, she co-founded Eco Femme. The combination of working with people on a shared value base, with women and the potential of empowerment through self organisation and business had plenty to offer. Washable pads were products that were practical, providing for basic needs and could have a large positive impact on the environment. That motivated her to start Eco Femme. After a survey of 300 women to understand women's experiences, practices and needs in the field of menstruation, Jessamijn and her team conducted focus group discussions and seminars with women to share these experiences and their perceptions of different products – ranging from different disposable and washable napkins, tampons to menstrual cups - on comfort, health, cost and disposal. The response from the women was very beautiful and the need to share, for menstrual education and products was also very obvious. With the inputs in tow, the team formulated different pad designs which were tested with 800-plus women in rural Tamil Nadu. The data that was collected through this was translated into redesign of the pads and ways to reach women best with these products. Though these pads are sold at cost price, it is a considerable challenge to 'get them out there' as marketing channels are not straight forward. Alongside this, the team also started a commercial range for India and export as there were women from self-help groups who could stitch and to build a financially sustainable base for the team to keep doing all that they wished to do. Motivated by their international retailers, the team developed the Pad-for-Pad programme, whereby customers give one pad to a girl in India when they buy one for themselves. With these donations, the team began working along with government schools, and hold educational sessions with girls and gift pads to those girls interested. For this, the team also developed different educational materials that included booklets, posters, cycle beads and puzzles. Washable pads are often up against the convenience of disposables and switching needs a kick, an internal motivation, either it being a more economical option, a better-for-your-health option, a better-for-the-earth deal, or a combination of these and other factors, and these relations sometimes, it was more emotional. The process often asked for some kind of an exchange or education to fuel the change in the thoughts and practice. As it is a sensitive, personal product that works best when it personally communicated, Jessamijn finds that being just the two of them to work on this involves a big challenge in having to work out ways to spread the message through others. Nevertheless, she finds herself in a rather exciting phase of work where there is still so much space for creativity and learning. Her initial motivation stemmed from the need to be environmentally considerate, and she did not quite relate to the gender undercurrent that underlay her efforts. But by and by, when she began interacting and reading more on women’s issues, she came to understand that there is a broad and untrammelled aggression against women everywhere. She finds herself now understanding better how menstruation subtly sometimes unconsciously relates to a woman’s sense of identity and being widely perceived as negative/bad- feed women but with a sense of being less worthy. She hopes that through her efforts, women can help each other to love themselves as women. On a more personal level, Jessamijn finds herself with goose bumps when she thinks of the sharing and educational sessions with women and girls. To her, it is a very beautiful thing to see their responses of relief, of interest and most importantly, of fun. To Jessamijn, these things make her feel human and connected to something bigger than her immediate circle of life. 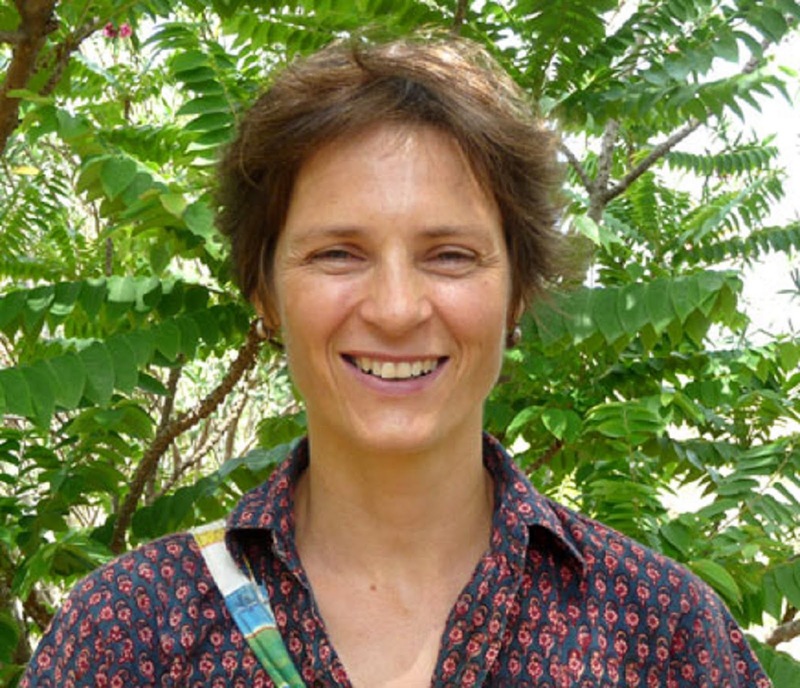 Sensitisation and awareness underlies Jessamijn’s work – whether it is in helping women see that they can talk freely about menstruation or about advocacy for the environment when women come to make responsible choices for their hygiene needs. In this, she notes, especially in India were diversity is so high, dialogue is important. Menstruation and women's health in general are cross-cultural issues with undertones of economics and social organisation. What is nice is that the use of cloth for managing menstruation is an intercultural exchange: women have been using cloth all over the world and in India it is still a large and alive practice. In Tamil Nadu, approximately 40% of women only use cloth and another 20% uses both cloth and disposables. Now it is being promoted from India within and to other parts of the world. Having come thus far, Jessamijn notes that the sheer joy in her work with her colleague Kathy and all the wonderful people who offer their help, the women's joy at sharing sessions and - what she interprets as - an enormous relief to talk, the sound of the girls giggling and laughing, learning about their basic body biology and getting to experience a more open, sharing and positive attitude towards menstruation have all been tangible milestones. With their currents sales rate translating into 400,000 less disposables per year, Jessamijn feels that this is just the beginning. Seven women from their rural area are stitching the pads, and they all wish that this will grow. Being a woman, to Jessamijn, is something that will always affect a woman in some way. It ultimately defines a part of who they are. Being a mother of two children, Jessamijn finds herself juggling many balls at a time where she wants to be with them as much as she wishes to keep at her work. That said, Jessamijn, simply put, likes being a woman, and is connecting very strongly to it. The heavy violence against women everywhere has her angry – an anger that does not stem from human justice values, but from being a woman. Persevering in a way that easily and fairly combines the social and the commercial components to her line of work, Jessamijn feels these do not compromise, but rather complement creating a leeway for one to strengthen each other. The feedback from customers means dealing with what women really like and want and this makes them also more 'customer' focused with the women they are connecting with through their social work.